Idaho Chicken Ranch: Halloween Prep! Ya'all have been so complimentary of our 2011 halloween costumes... thanks! These were easily my faves ever. Such fun! I downloaded pix from eBay of authentic Pan Am ensignia, printed them out, and made them into little pins for our uniforms! 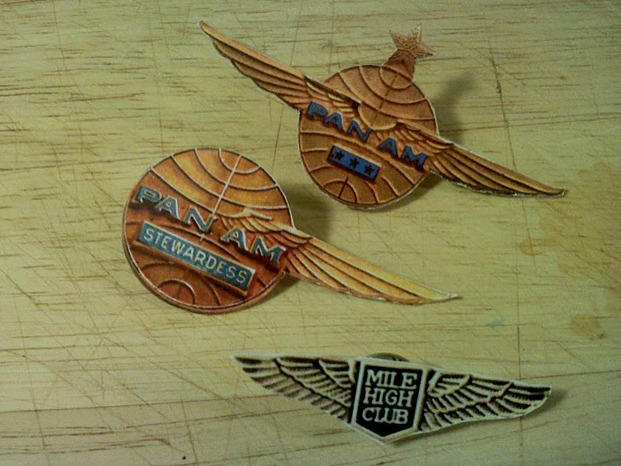 I ran out of pin backs or I would have made us both a handful of Mile High Clubs to pin on partygoers throughout the night. ;) Hee hee! 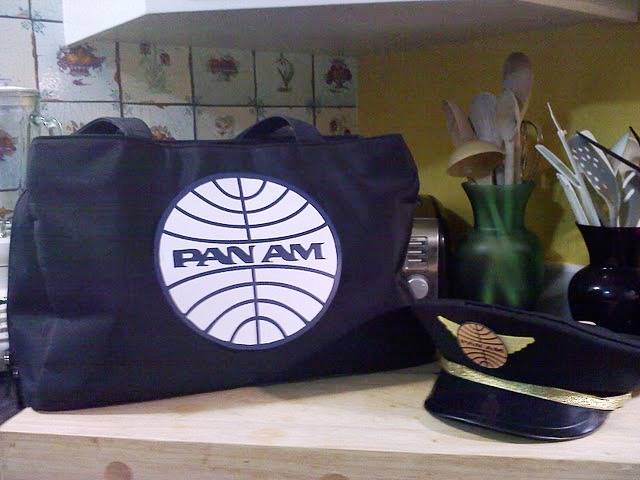 And of course, no stewardess is ready without her Pan Am bag. Again, just a printout stuck on a navy blue bag I have. The most labor-intensive part of the get-up was my hat, which I made from navy blue felt and white piping. Custom hats are really the way to go...I could wear this hat everyday! 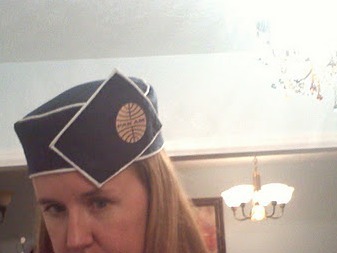 In fact, the hat left last night on a girls' weekend adventure, so maybe it won't end up in the Halloween box after all ! Safe travels, little hat... And if you end up at Forester's Club, stay away from the purple vikings. 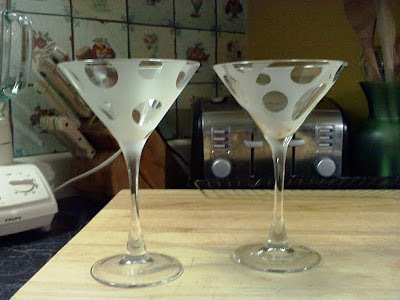 Everyone thought the martini glasses were the perfect touch. And after Halloween I don't mind putting them in the china cabinet! So cute! And the rather dapper captain at the wheel, we were off to Halloween parties!